Jim Marrs – an amiable Texan with twinkling eyes and a mind like a steel trap – is a veteran researcher and speaker on all topics connected with the agenda of the New World Order. Project Camelot is proud to add him to our strong cadre of witnesses. The books that Jim has authored represent his range of interests clearly: Crossfire (about JFK), Alien Agenda, Rule by Secrecy, The Terror Conspiracy, PSI Spies, The Rise of the Fourth Reich, and Above Top Secret. Jim's broad span of research encompasses Egyptian and Sumerian mythology, Nazi technology, the ET presence, modern geopolitical analysis, the power of the military-industrial complex, the Illuminati, and what one might call the real history of the twentieth century. Jim sees the big picture clearly, has great command of detail, and is one of the strongest speakers on the lecture circuit today. The title of this video – The Rise of the Fourth Reich in America – tells its own story, and in this 75 minute interview Jim lays out the compelling and disturbing evidence that while most people thought the Second World War ended in 1945, the Nazis were never stopped in their agenda – which can only be understood when one considers how they were assisted in coming to power by those Controllers who plan in terms of generations… not terms of government office. 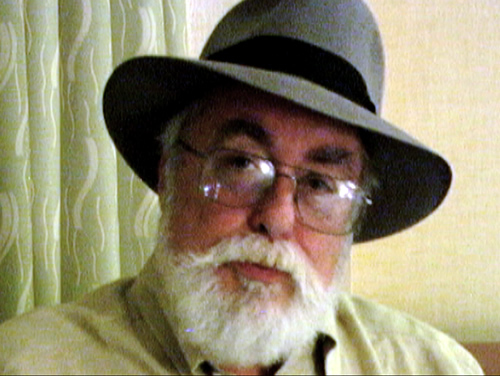 Click here for Jim Marrs' website.